In this section we will cover the basics of showing you how to PPC Advertising. Learn how to run and manage Pay Per Click Advertising campaigns for your Affiliate marketing or business promotion. When you first begin your affiliate marketing journey, you will probably hear a lot about Pay Per Click (PPC) marketing as one of the most viable methods for producing targeted leads or getting affiliate sales. Both veteran marketers and newbies understand that when used correctly, PPC can be an excellent tool for generating sales. The problem is that many marketers are still unclear about what Pay Per Click is, why they should use it for affiliate marketing, and how to use it. And unfortunately, using PPC when you're not really sure why or how can be dangerous to your advertising budget! A surprising amount of experienced Internet Marketers and Affiliate Marketers are afraid to begin using this tool, but it was one of the very first methods I used when I built my first site to drive the initial traffic to it. All it requires is commons sense and setting yourself a daily and monthly budget. You can use Google or Yahoo for the most secure advertising agents. Let's have a look at the basics so that you can learn what you need about how to PPC advertising without breaking the bank. Pay per click (PPC) advertisements are usually seen in the search results pages separated from the regular results. These are advertisements placed there to entice people to visit their websites and possibly make a sale. The advertisers that place those ads will pay the search engines a certain amount for each click that the ad brings that takes a consumer to their website. They will pay from .02c to many dollars every time a visitor clicks on the advertisement and gets directed to their site. If they meet the formula that the pay per click search engine has compiled for top ads, they can find their ads on the first page of the search results where Internet searchers are more likely to see them and click on them. PPC marketing enables a website owner to increase their traffic pretty quickly. It can be an effective means of selling more products or building a list with the increase in website exposure. 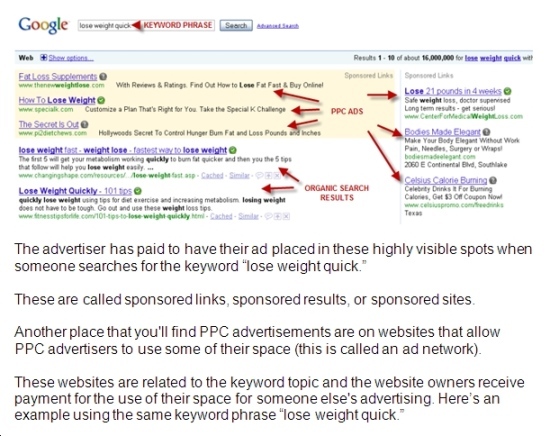 When a consumer is searching for a topic and they put the keyword or phrase related to that topic in the search box of places like Yahoo or Google, they’ll see a page of search results that include sponsor ads, organic results, and the pay per click ads on the right side of the screen (in Google AdWords). The higher the ad is placed on that page, the greater the chances of getting people to visit the website. Google and other PPC search hubs have formulas to determine what ads get top placement – it’s not all about who bids the most for the keywords. Getting the visitor to click through to the website means you have to capture their attention and pull them away from your competition’s ads. While many PPC marketing campaigns are successful, there are many that end up losing money. This can be due to a number of reasons. The ad might not clearly convey what the landing page is all about, causing tire-kickers to click through just to see. Or, your ad might be deceptive and the landing page not convincing enough to cause a buyer to make a purchase. The advertiser pays for every click that’s made from the ad. If a thousand people click on the ad, but don’t buy anything, then they’re still faced with paying the search engines for having their ads on the search results page. That’s why it’s critical that you monitor your campaigns. The more successful PPC marketers are the ones who know how to get the traffic to their site and how to entice sales from them. Those marketers enjoy a high ROI (return on their investment). PPC marketing enables you to test how successful an ad is and gives you the opportunity to pull it if necessary to replace it with a better one or to keep the same ad and tweak it to optimal performance. Pay Per Click is an Internet advertising method where advertisers pay only when their ad is clicked on. The ads are placed strategically on websites and in sponsored search engine results based upon keywords and the price the advertiser is willing to pay for good placement regarding a particular keyword. If this sounds complicated, it's not really. When a person searches for something on the Internet, a weight loss solution for example, search engine results present a long listing of websites that are in some way related to that weight loss solution through a keyword that has triggered that result. These results are called organic search results. You will also see some other search results, a row at the top of the search page, and vertically on the right side. These search results are actually advertisements that have been placed in these more noticeable spots through Pay Per Click advertising. PPC marketing can be an extremely effective method for promoting your affiliate products when the advertisements are well put together and readers are taken directly to your landing page(s) after clicking on your ad. And because Pay Per Click ads are targeted to a distinct market with the use of keywords, the chances of converting to a sale are good! There are two types of PPC advertising. One is flat-rate PPC and the other is bid-based PPC. With flat-rate PPC, the advertiser enters an agreement to pay a flat fee for each click on his or her ads. Rates will differ based on where the ads are placed within a website or network. Bid-based PPC is where an advertiser competes with other advertisers using the same keywords for the best positions on websites and in sponsored listings on search engine results pages (SERPs). Bid-based PPC is what marketers most commonly use. You now have a pretty good understanding of what PPC is. Now let's move on to why you should use it for affiliate marketing. Why Use PPC for Affiliate Marketing? Many affiliate marketers don’t use PPC - either because they don't understand how to make it work effectively, or because they don't think they can use Pay Per Click for affiliate products (they've heard that Google, for example, doesn't allow them to link directly to affiliate product sites or replicated affiliate websites). But once you know the ropes, you can use affiliate marketing to make a big difference in your sales. Why use PPC for affiliate marketing? For one, Pay Per Click is a good way to get targeted customers to the products you're promoting and to your own products, too, should you ever venture into the info product ownership arena in the future. Even if they began their web search with no intent to make a purchase, people will often make a purchase if they see a good reason to. And even if they don't make a purchase, you still stand to build your list with the same target audience who may convert into a sale at a later date. Using your PPC campaign as a way to build your list is a very wise thing to do! If you were focusing only on sales and possibly leading customers directly to an affiliate link (where this is allowed), then they are by-passing the point where you would be able to collect their name and email address – valuable information to have if you want to contact customers in the future (and you do want to contact customers in the future). Pay Per Click is an effective way to ramp up your affiliate marketing campaign for a few other reasons, too: it’s flexible, quick and predictable. In regards to flexibility, you can change your ads and keywords as you see fit. By monitoring the performance of your keywords and ads, you'll know when you need to make a change, and what needs to change so that your ad performs better. Once you learn how to use PPC the right way, you can make changes on the fly, as you see opportunities arise with new and different keywords. This gives you a leg up in a market that is ever changing. And another quickness factor is that PPC has the potential for bringing targeted customers to your landing page within only a few minutes or hours. Without PPC, it could take weeks or months to get the influx of traffic that you can potentially get from Pay Per Click very quickly. PPC also has a built in predictability factor. You’ll get what you pay for. When you rely only on search engine optimization methods to get traffic, you run the risk of having trouble if and when the search engines switch up their algorithms and foul up your rankings until you regain your footing. That's not to say you should abandon SEO! You should definitely use SEO in your marketing. Just don't rely only on it alone – especially not when you have a new product to promote as an affiliate. Many Internet marketers have steered clear of pay per click (PPC) marketing campaigns because they’ve heard horror stories of how people have lost money. Instead of focusing on the advantages PPC marketing has to offer, they focus solely on the risks involved. What they don’t realize that the PPC marketing can bring them more success than failure if they know how to properly execute an ad campaign. There are many benefits pay per click marketing offers that other forms of ‘net marketing can’t compete with. PPC advertising is one of the easiest campaigns you can set up. Setting up a new account is easy and usually costs no more than $4.95 if you’re using Google AdWords. After that, you just have to enter your campaign specifications and monitor your success rate. No special changes to your website will be needed if the site has a perfect landing page already. If you’re seeing a lot of traffic, but the conversion rate isn’t as high as you’d like it, then you might consider revamping your landing page. The successful search engines are used by millions of Internet users each day. They use search engines to find information and products. If your site isn’t already on page one of the SERPs (Search Engine Results Pages), then PPC marketing offers you a way to get there without enduring months of SEO optimization. By having the ad appear on the first page of search results, the chances of driving tons of targeted traffic to your website increases. The ads begin showing the same day you set up your campaign – no waiting for your site to get indexed or found by search engine spiders. If you create the right kind of ad campaign for PPC marketing, you’ll be able to find people who are ready to buy. Using long-tail keywords help tremendously. For instance, competing for the term “golf” might cause people to click through who are looking for golf jokes, golf vacations, or golf books. If your site sells golf clubs, you’ve just paid for those searchers to click through on your ad when they’re not interested in what you’re selling. A better keyword phrase to target would be “Taylor Made Burner TP Fairway,” because then you know you’re targeting a potential golf club buyer. There are no excess costs to worry about. You only pay when people click on your ads. If those ads bring paying customers, then your profits will more than pay for the PPC ads. Long-tail keyword phrases cost less to bid on than broad keywords do. PPC allows you to maintain control of what an ad says on the results pages. If the ad isn’t as successful as it needs to be, it can easily changed at any time. The changes can take place quickly. Some other forms of online advertisements don’t allow you to alter the ad once it’s running. With the control you have over your PPC ads, you can also control your budget for this advertising technique. You can choose the bid amount for each keyword, control how much is spent each day, and pause or alt a campaign with the click of your mouse. With this much power over the cost of it, marketers shouldn’t fear PPC marketing, but welcome it into their online strategy. How Should You Use PPC for Affiliate Marketing? With affiliate marketing, there are two purposes for using PPC. The first is obviously to get sales. The second is to collect names and email addresses, and we've already talked about both these purposes a bit. Both are important and both are going to result in higher profits for you. One of the keys to PPC success is using keywords that work. Surprisingly, these don’t need to be the keywords that are the most popular (and the most expensive). You need to participate in some serious keyword research so that you can make the most of every penny you have in your advertising budget. You'll do this in a few different ways. One method you can use is to simply develop a comprehensive keyword list that includes good long-tail keywords (keywords that are more than a couple of words). The way to do this is to just jump in. These are long-tail keywords that can help you get to a really targeted audience that will be more ready and willing to buy, and definitely more ready and willing to give you their information if you're offering them something of value through your squeeze page. Developing a long keyword list can take some time, but it's worth it! Not only will it save you money in PPC advertising, but it will help you rank higher in the SERPs because there will be fewer competitors. You can also use keyword tools to help you come up with good keywords to use in your PPC campaign. You're going to need to get people to your landing page so that you can either get a sale or collect names and email addresses, or both! That's how you're going to use PPC for your affiliate marketing business. Remember that as you start using Pay Per Click for advertising, you're probably going to be using some highly targeted keywords in your PPC ads. Make sure that each landing page that’s associated with your PPC ad is very specific to that keyword and ad. This is going to increase your conversion rate significantly. As you begin your PPC campaign and use your ads to bring customers to your landing pages, take the names and email addresses that you collect, and send those customers and future customers autoresponders that correspond to their area of interest. These autoresponders can be used to promote several different products. This gives your customers many things to choose from, which is great – they might not like one product, but love another! Either way, it's a win-win situation. Using this method, you can promote many people's products and even your own products at a later date. When you’re just starting out, paid advertising campaigns may not have a place in your budget. When trying to drive more traffic to your site, you’re faced with whether to go the free traffic route or use paid traffic programs like pay per click (PPC) marketing. Free traffic routes deliver the best ROI (return on your investment) because there’s no out of pocket cost. But the traffic you bring in may not be as targeted as a PPC campaign. You can choose from free traffic-generating methods such as articles marketing, social networking and forum marketing on niche-related message boards using a link-driven signature file. The problem with free traffic is that it’s a work-heavy advertising technique. In order to gain high amounts of traffic, a marketer needs to constantly advertise their site to get their link exposed to prospective customers. If time is in short supply, free marketing isn’t an option that will benefit you. Paid traffic avenues cost you money to gain traffic, but if executed properly, the ROI will be much higher and the maintenance much lower. If you’re using article directories, you may have to wait 10 days for approval, but an AdWords campaign can be live in minutes. While costs are considerably higher, so is the potential for profits. If you don’t know how to conduct a savvy PPC campaign, you will risk losing money. There are barriers in place to prevent anything bad from happening, such as daily limits to your spending. Unfortunately, many marketers put limits far beyond what they can actually afford, not knowing Google will find a way to tap into your coffers. The best way to use paid and free traffic is to implement a strategy that combines both methods. You might run a PPC campaign and at the same create a lens on Squidoo – both for the same keywords. Days later, you notice your lens is #1 in the Google SERPs. Do you need to continue the PPC campaign? That’s what testing and tracking of conversions will tell you. You might find that the PPC ad linking visitors directly to your sales page has a higher conversion than those who click through to the lens and then have to take an additional step to get to your sales page. Savvy marketers understand the inherent need to continually track and tweak their marketing efforts. Implement new strategies. See what works best for your niche audience. Then wash, rinse, and repeat your success! Where Should I Use PPC Marketing? 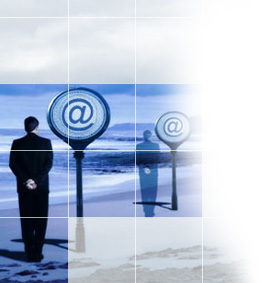 There are several places that offer Pay Per Click advertising. By far, the most well known is Google AdWords. Since AdWords is the most popular, let's focus on that for a moment. Google AdWords is an advertising method that lets you create ads for your business and run them on Google and Google's advertising network. You can choose to have your ads show in Google search results or on websites that are within the ad network. You only pay a fee when someone clicks on your ad. You can set your AdWords budget according to your own financial situation, whether it's $50 a month, or $500,000 a month that you can afford. You don’t have a minimum monthly charge, but there is a small 'activation fee' of about $5. Google offers a pretty decent set up as far as helping people get their ads up and running, with some helpful guides and a keyword tool that can help you choose the right keywords for your advertising campaign. If you take the time to read the guides and learn how to use the keyword tool, you'll be steps ahead of the game. With AdWords, you can either choose where you'd like your ads to show up (for example, on a specific website within the AdWords ad network), or you can allow Google to do the work for you through what they call contextual targeting. With contextual targeting, they match your keywords to the content in their ad network and place your ads where they’re most appropriate. You also get a chance to choose the format of your ads and have the option of adding images and even creating video ads. You can choose target demographics and geographic areas as well. With Google AdWords, you should make use of the reporting tools that are included in your account, as well as simply paying close attention to what your competition is doing so that you can make the most of your advertising budget. If a keyword or ad isn't performing well, it could be that it hasn't had enough time to mature, or it could be that it's a dud. You need to watch closely to make decisions about changes in case something isn't working well. Many people love Google AdWords for their affiliate PPC campaign, and it works well. Be sure to follow all of the rules, though. Google takes a dim view of having ads link directly to an affiliate site. It's always better to send your customers to your own well crafted squeeze page, collect their information and then direct them to the product site (with credit card in hand) via email autoresponders. Two other good places that you can use PPC are Yahoo! Sponsored Search and Microsoft adCenter. With both Yahoo! and Microsoft adCenter, the systems work basically the same as Google AdWords. With Yahoo!, your ads will show in Yahoo! search results and with Microsoft adCenter, your ads will appear on MSN searches and Bing. Yahoo! Offers a keyword tool, ad testing, targeting, and user guides and reports for learning and ad tracking. Microsoft adCenter offers help with keyword research, targeting by geographic location, and tools for analyzing ad performance and help guides. With both Yahoo! and Microsoft adCenter, you bid on keywords and set up your advertising budget pretty much the same as you would with Google AdWords. When you’re launching a pay per click (PPC) ad campaign, one vital component to your success is to generate a lengthy list of keywords and phrases you can target. Long-tail keywords will usually out-perform broad based words and phrases because there’s less competition. With a PPC ad, you have the option of running multiple campaigns. You can run one for broad keywords, another for the name of your product along with your name for branding purposes, and one that includes variations of long-tail keywords. You don’t want to target irrelevant keywords because you have to pay for each click that grows that goes through to your domain. Some people try using the bait and switch tactic, but it rarely produces viable results in the marketplace. Instead of sticking to one and two word keywords, try developing longer phrases. You might be the only pay per click result that comes up because many marketers don’t know about the power of scooping up lengthy phrases. Dolls might be a good keyword to use for a broad PPC ad campaign, but adding a related word that makes it more specific (like Antique Dolls) brings a higher click-through rate. The person who’s searching for information related to antique dolls would click on an ad that specifies the word antique because dolls would be too broad of a subject. Use software to come up with the best keywords to increase your PPC success. Get a one day pass at WordTracker or download a tool like Good Keywords to get some brainstorming help. These tools will help you dig down for long-tail results that could pull in prospects to your ads. Software programs can also pick up on the spelling variations and mistakes for the keywords for your campaign, something you might not have thought of when creating your list. Visit your competitor’s websites and right-click on the page to View Source. You should see a META tag for their keywords in their HTML code. Grab those words to add to add to your list. Take your time to conduct thorough research and find the best keywords to use for your PPC campaign. Keywords are a fundamental part of setting up a pay per click (PPC) campaign in your business, but unfortunately, it’s not the only thing you need to keep in mind to make it a success. The landing page of your site is equally important. When a user clicks on your PPC ad and goes to your site, what will they see when they get there? Users can be turned off quickly if you don’t grab their attention right away. You’ll end up paying for a click-through that brought you nothing in return. The site should be aesthetically pleasing and provide the right kind of content that leads to a sale. You should have an attention-grabbing headline on the landing page. 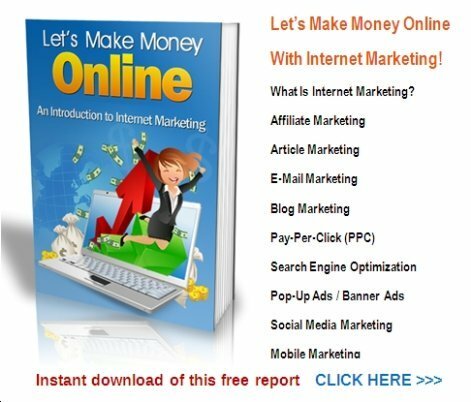 If a user is searching for Internet marketing tips and you happen to be selling an Internet marketing eBook, show them in the title of the page that you have what it is they’re looking for. The content in your PPC ad is critical to your campaign success. Don’t just use “Internet marketing eBook” as your title. Try using variations to see what type of headline entices a click-through from your audience. You might use a question, a shocking statement, or a statistic. When you use your keywords in your titles, the PPC engine will show them as bold to the Internet searcher, helping your ad stand out from the competition. Use search engines for your PPC ad campaign that are within your budget. If one is cheaper than the other and you’re just starting out, you can use the cheaper one – but also take into consideration that Google is the Granddaddy of all search engines. Keep yourself organized and always check to see how well your campaigns are working. Instead of deleting campaigns, make alterations to them. You won’t rank as high on the AdWords results if you keep deleting and churning out new ads each day. Try using Google Analytics on your site to see how people are finding and interacting with your site. You may discover that one specific page on your domain generates a better ROI (return on your investment), so instead of sending your PPC traffic to the landing page, you might steer them right to the one that performs best for you. When it comes to keywords, they are an important part of your PPC success, but not at the exclusion of other elements. The bottom line is this: PPC can work wonders for your affiliate marketing business if you know how to use it to your best advantage. This is true with any type of tool you might use with your marketing business – you have to do your homework and have an understanding of how things work and why you're doing them. Pay Per Click is used by many types of businesses and it accounts for millions of advertising dollars spent. This type of advertising is expected to continue to increase as people head to the Internet for shopping and for solutions to various problems. How many times in the last week have you needed information on something and gone online to find it? How many times have you gone online and done a search for something you thought you might be interested in buying? How many things have you purchased online in the last year, whether it was a physical product, or an information product? Most people head to the web to find what they need – solutions to the problem of getting their ex back, or their cat's bad-tempered furniture clawing, or their out of control weight – anything that helps improve their quality of life. For affiliate marketers, PPC offers flexibility because you can monitor your ads and change them as needed, without delay. Pay Per Click also has the potential for bringing more people to your squeeze page(s) faster, so you see sales increase and grow your list much more quickly. Finally, PPC lets you set an advertising budget and doesn't go past that. You get what you're paying for, and you have control over whether you choose to adjust your advertising expenditures through PPC up or down. If you've had doubts in the past about whether you should use PPC for your affiliate business, you can lay those doubts to rest. Take some time to learn how to use PPC effectively, and you'll find that it’s an effective method for boosting affiliate sales and building a strong list! A lot of times, being afraid to try PPC advertising is the result of a lack of knowledge or understanding. If this is the case, and you are determined to make money online with your marketing then you should take the time to begin researching the subject it is that you don’t know much about. There is a lot of power that comes from learning about all the various Internet Marketing topics. You’ll be surprised about how much a little research can help you with setting up and managing a PPC advertising campaign. There are many good training manuals available to show you how to market and promote your business or your website. I will publish some of them for you on this site soon, but in the meantime, if you are a newbie to internet marketing and setting up a website, or using social networking, you will get a lot of benefit from this video training course. Each video is short and to the point, illustrating the set up and operation of all these marketing platforms and tools. Below here I'm featuring more pages with helpful how-to-do-it tips on this subject. Feel free to submit your own story or article about your experiences with pay per click advertising, and I will create your own page here with your contribution for the community to read. What are the Tricks to Effective Internet Advertising? 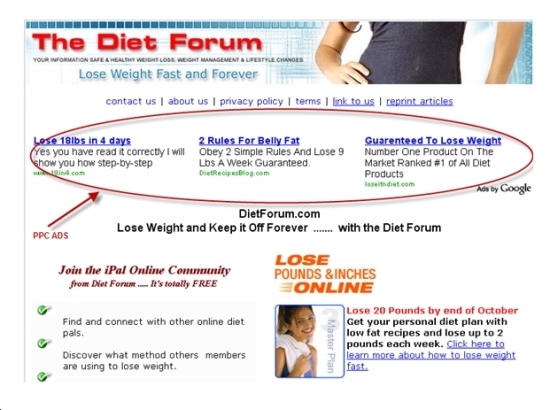 Back to HOME PAGE of this how to PPC advertising section of the site.